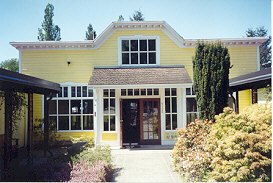 The museum features a time tunnel where you move through various room each room featuring a different period of time in the history of Langley; collections of First Nations artifacts and settlers' possessions. 9135 King St., Fort Langley right beside the BC Farm Machinery and Agriculture Museum- Langley, and kitty corner to the "Fort" in Fort Langley. Open Tuesday to Saturday, 10 am to 4:45 pm, and Sunday 1 pm to 4:45 pm.